This book is about the story of a group of young professionals, including the author's schoolteachers, in Hargeisa who were arrested from November 1981 to January 1982 for they volunteered to assist the Hargeisa Group Hospital. These people were put in jail for eight long years in an incommunicado maximum-security prison known as Labaatan Jirow. They are internationally known as “Hargeisa Self Help Group”. Others call them “UFFO” group. "A brilliant work co-ordinated through many continents"
Comments followed Rhoda's article on RADIOSOMALILAND.COM. 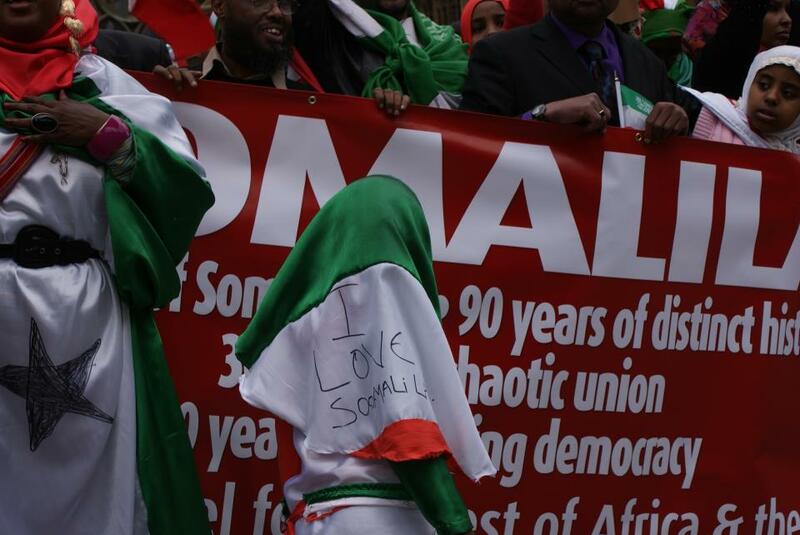 Different views on documenting Somaliland's history. A word from the author: "The pages in this essay may, perhaps, be viewed as historical pieces of evidence, but at the same time, they contain the sequence of events that were happening at the time, and some of which I was an eyewitness, and, of course, some of which I learnt afterwards. They may contain emotional feelings of a student who suddenly realised that events had left him an orphan from his teachers." This book is now available for distribution. Order your copy today. "Well researched, well documented, a Textbook in the History of our Struggle"
"It is an excellent work on an issue that has to be kept in our memories, less we forget!" "Although I was in Mogadishu when the events unfolded on February 20th and I was aware of the situation, having it in memory is no match with having it in written words. Excellent!" Writing about UFFO and its selfless efforts is not only a much needed history revisited but it can be used as an inspiration for anyone in our society who yearns to understand how to create and/or participate in innovative ideas of self help. UFFO group have always been my role models. They have been true intellectuals who acted upon a vision rarely used in Africa. Your effort is a job well done! Congratualtions! The book vividly describes and takes you to real tour of the heroic struggle of the UFFO comrades who despite under the watchful eyes of the totalitarian regime of Siad barre embarked on a mission for the betterment of our community in the early eighties. The book calls for a sincere reflection on the conditions under which they operate, risking their lives and ending up in the worst prison and torture that any human being could ever imagine.